Gabby Pritchard, co-author of the forthcoming Kindergarten series, Show and Tell, offers some practical tips for encouraging your Kindergarten children to communicate in English. From the moment toddlers begin to discover the exciting world around them, they begin to acquire the language they need to express their curiosity and be understood by others. They very quickly learn to use simple questions to find answers. What? Where? When? How? and Why? become favorite words as they explore how their world works. So, how can we create a classroom environment that encourages young children to continue their exploration of the world through a new language? Here are some ideas. Use posters, photographs, toys and real objects to stimulate children’s curiosity about a new topic. Let them feel the objects. Ask plenty of questions: What can you see? What’s this? What color is the…? How many…? Where is…? Use the same questions every time you introduce a new topic so the children become familiar with them. As they gain confidence, encourage the children to ask some questions of their own too. Organize children into small groups to carry out simple investigations and experiments, play language games, act out stories and complete craft activities. By working cooperatively, your children will find they need to talk about how to complete tasks, assign roles and solve problems. They will also develop their social skills, such as learning to share and turn taking. Always encourage children to use polite language when working alongside each other. Phrases such as: Let’s play with the… Please pass the… and You’re welcome are very useful phrases. They will help children develop respect for others and form positive relationships. Try teacher trainer Freia Layfield’s idea for a role-play activity that teaches children valuable life skills while getting them to talk in English. Young children love to immerse themselves in the world of make-believe. Using stories in class provides a great basis for getting children to talk about motivation, consequences and feelings. Read aloud, or play audio recordings of, short, simple stories. Then ask questions to get the children to think carefully about the characters and events. The questions should encourage a deeper understanding of how and why things have happened. You can begin by asking simple questions, for example, Is the giant happy? Are the bears angry? Then move on to more probing questions: Why is Jack scared? Why are the bears angry? When the children have explored a story, encourage them to work in groups to act out the story using props. You may be surprised by how much more enthusiastic the children are, and how much more they put into their acted versions of the stories, once they have explored the meaning thoroughly. bringing to class a favorite toy or book to talk about. Start ‘Show and Tell’ sessions by talking with the children about what they are going to produce, getting them to contribute ideas about how they will do this and the sorts of equipment they will need to complete the project. Get the children to work together to produce different parts of projects where possible. If they need to work individually on a project, prepare sets of materials for groups to share, to encourage them to observe others and discuss ways of working in order to produce the best results. Finally, have the children present their work to the class, to other classes, or even to their parents. This will help build confidence in their ability to express themselves and give them a real sense of achievement. For a simple way to introduce the idea of Show and Tell to your kindergarten class, visit the page on ‘Teaching 21st century skills with confidence’ for another video tip from Freia Layfield. It comes with a free worksheet that you can download from the Oxford Teachers’ Club (it’s quick and free to register). Please do share your experiences of getting children talking in class – we would love to hear about them. You can use the comments box below this blog. Would you like more practical tips on developing communication and other 21st century skills with your Kindergarten children? Visit our site on Teaching 21st century skills with confidence for free video tips, activity ideas and teaching tools. Categories: Pre-school Children, Skills | Tags: 21st Century skills, Children, Communication skills, Early Childhood, EFL, ELT, Gabby Pritchard, Kindergarten, Learning, Show and Tell, Speaking, Speaking in English | Permalink. Arizio Sweeting has taught and trained in Brazil, Macau, New Zealand and now Australia, where he works for the Institute of Continuing & TESOL Education at the University of Queensland (ICTE-UQ). Here he describes an activity that focuses on the use of students’ voices for delivering messages to others. “Listen to me. Listen to me! I have a voice!” says Colin Firth as King George VI in the King’s Speech (2010). Like Firth’s character, language learners also have a voice and their voice is much more than sounds; it is also the representation of their personality. As Berry (2003) emphasises the ‘voice is …the outward expression of [the] inner self, a sort of channel from inside to outside, and is therefore a very particular expression of [one’s’] personality” (p. 6). Thus, it is time for the pronunciation classroom to start providing learners with more than traditional focus on phonemic symbols, charts, lists of minimal pairs and articulation diagrams, but with voice and pragmatic awareness practice such as in the activity I wish to suggest below. It is called Say It Like You Mean It and it follows Copeman’s (2012) premise of ‘fake it till you make it’ (p. 22). In this activity, learners rehearse and focus on the use of their voice for delivering ‘difficult’ messages to others, such as telling someone that they have bad breath or that the colour of their shirt is ugly. An important consideration, however, is that the aim of this activity is not to encourage learner insensitivity, but to familiarise the learners with their ‘voice image’ i.e. the way their voice is perceived by others (Berry: 2003: 22). In general, the main objective of the activity is for learners to receive a ‘pragmatic shock’ which can trigger off self-awareness of ‘voice image’ and pragmatics. In class, give the learners a message card each and get them to practise saying the message in their own minds without showing them to others. The learners then mingle and fire these messages to each other in conversations on a given topic e.g. their plans for the weekend. After that, do some work on vocabulary and register by writing an example of a message up on the board e.g. You are a liar and get the learners to suggest improvements for it e.g. I hope you don’t mind me saying that, but I don’t think you’re telling me the truth. Focus the learners on pronunciation here too. Now, get the learners with the same messages to work in groups and improve register. Give the learners time for rehearsal by getting them to practise in different corners of the classroom. Play some background music for relaxation. Finally, the learners find new partners to make conversations and re-deliver the messages. Then, do a wrap-up discussion with the class on the second delivery and check if the learners have noticed any changes in communication. As Thornbury (1993:127) points out by quoting Wilkins, ‘too many teachers have been trained to believe that pronunciation involves little more than a list of sounds… The practice of sounds in isolation is of limited value’ (Wilkins, 1972,1978: 59). Therefore, I hope this article can contribute with an example of a possible change of practice for the pronunciation classroom. Copeman, P. 2012. ‘Performing English: Adapting actor voice training techniques for TESOL to improve pronunciation intelligibility’. English Australia Journal 27.2. Berry, C. (2003) Your Voice and How to Use it. The Classic Guide to Speaking with Confidence. Virgin Books Ltd.
Thornbury, S. 1993. ‘Having a good jaw: voice-setting phonology’. ELT Journal 47.2 Oxford University Press. Wilkins, D. 1972, 1978. Linguistics in Language Teaching. London: Edward Arnold. Categories: Applied Linguistics, Grammar & Vocabulary, Pronunciation | Tags: Activities, Arizio Sweeting, Classroom activities, ELT, Learning, Vocabulary, voice | Permalink. Peter Redpath, co-author of Incredible English second edition takes a look at CLIL and how it can be used in the classroom. What is CLIL? It means Content and Language Integrated Learning. (Have you noticed how we seem to love acronyms in language teaching? The list seems never-ending: TBL; PPP; CLT; TTT! Can you identify them?). The idea is simple. Other subjects in the curriculum are taught and learned in a language, which is not the mother tongue. By weaving together a foreign language and the curriculum content from other subjects we aim to provide a rich learning experience for children. There are a number of ways in which CLIL has been interpreted but the bedrock of the idea is this: children are not focused on learning language per se. They are focused on the content of the lesson. I think that this definition from Nixon continues to be valid: “the study of a non-language subject through the medium of a major world or regional foreign language” (Nixon, J., 1988). CLIL is not a newcomer to the world of language teaching; you can see that from the date on that quote. It’s been around for some time. It is an aspect of language teaching which I think has gained strength and continued to develop since Nixon wrote those words. What does CLIL mean in practice? Let’s look at a concrete example taken from a coursebook. Remember that this is how we have interpreted CLIL and blended it into our material. There are other variations and possibilities. The topic area for this CLIL lesson is very relevant in many parts of the world at the present time: uses of water! In the CLIL lesson on this topic children learn about what we use water for. They look at how much water is used for each activity. They learn how to measure a quantity of water. They learn how to make a water meter. In terms of the syllabus these are more related to science than to language. But out of this would spring language. For example, “Having a shower”. Then how we measure quantities of water in litres: “6 litres”, “30 litres” etc. On top of that how much water we need for each activity: “You need 4 litres of water”. As you can see, the language that children are using naturally springs out of the topic area. Talking about uses of water demands certain vocabulary and structures. There is a real communicative purpose. This is in contrast to choosing which vocabulary and structures children should learn and finding a topic that comes out of it. In other words they will be using language communicatively and therefore learning it. This can sometimes lead to a challenge for teachers (it was certainly a challenge for me when I was first introduced to CLIL). How should the language syllabus be ordered? For example, when do you think the present simple passive (it is + past participle) should be introduced to children? A more traditional syllabus would look at the complexity of the structure and would introduce it later rather than sooner. But that syllabus is ordered on the complexity of the structure rather than on the complexity of its meaning/use. “It’s made of plastic”, to describe a toy is not conceptually complex. Linguistically it’s a nightmare (if you look at its component parts). Or do you disagree? At what age do you think children can cope with this piece of language? At what age group do you think we first introduced this language in our coursebooks? CLIL is an attempt to combine content and language to make an engaging and useful lesson. In a CLIL lesson children are ticking CLIL-appropriate areas: content; cognition; communication and community. Children are engaging in learning about something, learning to do something, learning to express it and how it relates to a community. Do you think taking a CLIL approach to language learning is more beneficial than selecting the language and building an exercise around it? Categories: CLIL, Young Learners | Tags: Children, CLIL, Cognitive Skills, Content and Language Integrated Learning, Incredible English, Incredible teaching tip, Learning, Peter Redpath, Young Learners | Permalink. Guy Cook, author of the award-winning applied linguistics book Translation in Language Teaching, presents his arguments for re-establishing translation as an essential part of modern language teaching and learning. Guy will be hosting a Global Webinar on this topic on 26th and 31st October 2011. You can find out more information and register to attend here. Using translation is surely a natural and obvious means of teaching someone a new language. It has lots of good effects. It can be used to aid learning, practise what has been learned, diagnose problems, and test proficiency. In any case, teachers can’t stop students translating – it is such a fundamental basis for language learning. Translation is also useful skill in itself. And not just for professional translators and interpreters. In multilingual societies and a globalised world, translation is all around us as an authentic act of communication: from families, schools, hospitals, courts, and clinics, to business meetings and the United Nations. We find it in notices, labels, menus, subtitles, news interviews and many other places. In addition, it allows learners to relate new knowledge to existing knowledge (as recommended by many learning theories), promotes noticing and language awareness, and highlights the differences and similarities between the new and existing language. Many people also find the tackling of translation problems intellectually stimulating and aesthetically satisfying. In addition, it helps create and maintain good relations between teacher and student, facilitates classroom management and control, and allows students to maintain their own sense of first language identity, while also building a new bilingual identity. It does not seem to impede efficient language use – many students who began their studies through translation go on to become fluent and accurate users of the new language. So what is wrong with it? Given all these apparent advantages, it seems most peculiar that the mainstream literature on language pedagogy and second language acquisition, has routinely dismissed translation as a desirable component of language teaching and learning for over a hundred years – without research, reasoning or evidence. Is there perhaps some other reasons that translation has been villainised in this way? In my webinar next week, I shall be asking what happened to translation, and why. I shall be making a case for reinstating translation as a major component of language teaching and learning. Whether you agree or disagree, I hope you will join us, tell us of your own experiences, and put forward your own views. Categories: Applied Linguistics | Tags: Applied Linguistics, English Language Teaching, Guy Cook, Learning, Linguistics, Translation, Translation in language teaching, Webinar | Permalink. It’s hard to believe, but the Let’s Go series is nearly 20 years old. 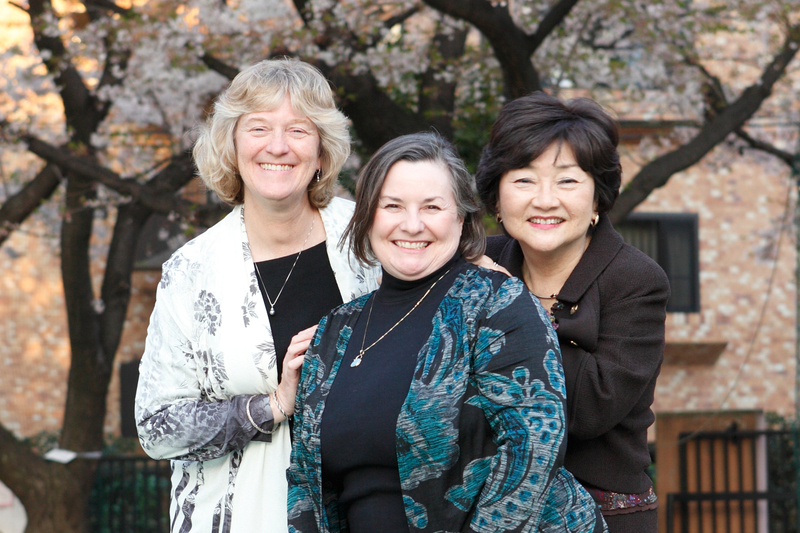 We recently had a chance to talk with the series authors, Barbara Hoskins Sakamoto, Ritsuko Nakata and Karen Frazier, about the changes they’ve seen in publishing, and in teaching English to children, over the past two decades. As a special thank you, Barb thought it would be nice to share a short video with you, as a little flavour of the last 20 years of working on Let’s Go. Thanks also to Barb for conducting the following interview. Barb: Let’s Go was one of the first course books for teaching English as a foreign language to children. Quite a few features that are commonplace in young learner courses now started with Let’s Go. What were some of the “firsts”? Please complete this sentence: Let’s Go was the first English course to _____. Ritsuko: It was the first English course to expose children to the Roman alphabet at such a young age. Let’s Go was also the first English course to include so many verbs. If you know plenty of verbs, you can talk a lot! Also, it’s written so that children can actually use the dialogues they are learning. Karen: It was the first English course to include full answers and question forms to get kids talking. With Let’s Go, kids don’t just learn one word answers to teachers’ questions, they learn the words to ask the questions, too. It’s so common now that it’s hard to believe that it was a pioneering approach back in the 1990s. Ritsuko: I’m pretty sure it was the first book to include chants, and to include movement to help children remember sentences as well as the verbs. Barb: What’s something teachers may not know about Let’s Go? Categories: Young Learners | Tags: American English, Barb Hoskins Sakamoto, Barbara Sakamoto, Children, English as a Foreign Language, Interview, JALT, Karen Frazier, Learning, Let's Go, Primary, Ritsuko Nakata, Teaching | Permalink.